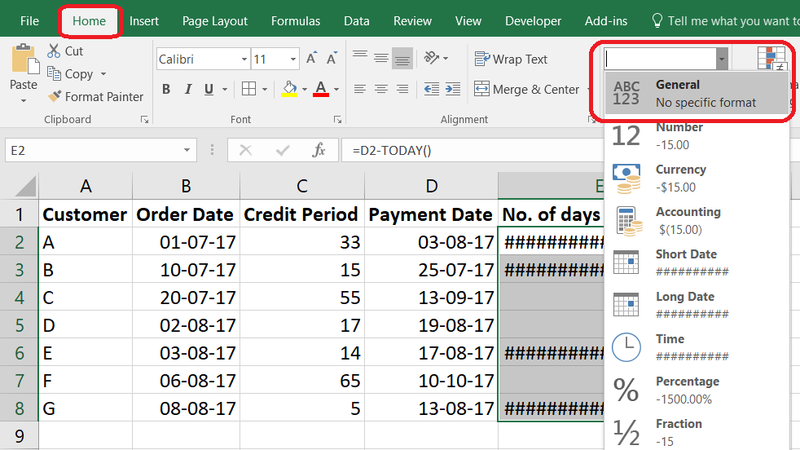 Whether it’s delivery date, payment date or a followup date, you want Excel to tell you when it’s overdue. Use this simple method to highlight (color) all cells that are overdue. The best part is, it is dynamic in nature, meaning it will check automatically on a daily basis whether a particular item is overdue ‘today’ or not. 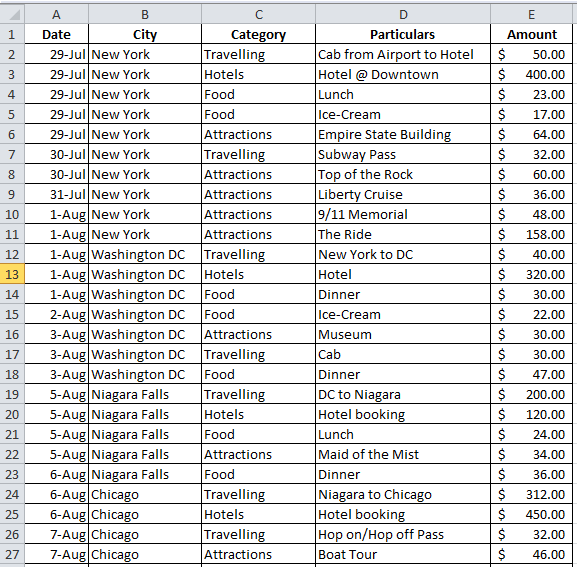 How your data might be a List of customers with their Order Dates & Payment Credit Period (in no. of days). For the payment date, simply put a formula =B2+C2. This will add the Order date with Credit no. of days and give you the resultant Payment Date. Copy the formula down throughout. =TODAY() will internally generate Today’s date (dynamic, will change automatically everyday). D2-Today() will subtract the 2 dates and give you the difference no. of days. 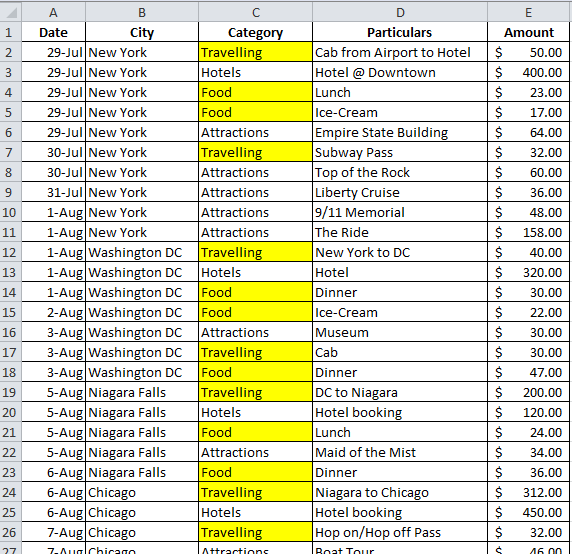 Simply select all the dates and get them to ‘General’ format. Now select the ‘No. of days remaining’ column (without the header) and follow the below steps..
All items which are overdue are now highlighted! 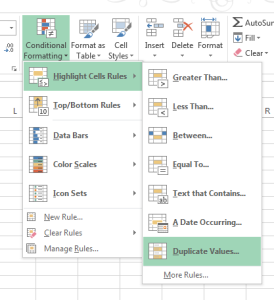 To highlight only Unique values in a data set, conditional formatting can be used. 2. 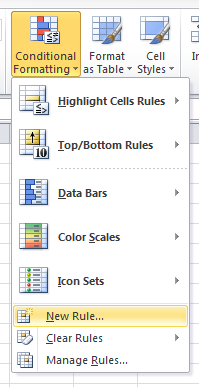 Go to Home tab, and click on Conditional Formatting. 3. 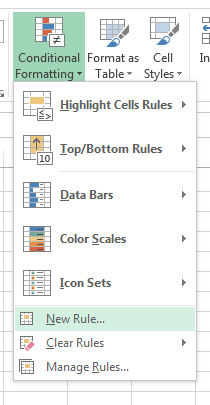 Choose the option, Duplicate Values…, under Highlight Cell rules. 4. Select “Unqiue” from the drop-down, and select the kind of formatting required. 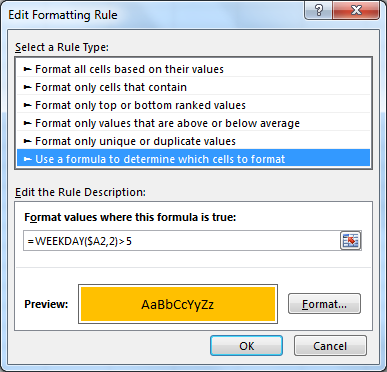 To highlight Weekends using conditional formatting, is quite simple. You just need to enter 1 formula! Say you have a set of numbers, varying over a wide range. You want to immediately know which are the top 5 numbers among all, or say top 3, or say bottom 5 or bottom 3. Sort in ascending order if you want to find the top 3 or 5 numbers and see them; or sort in descending order if you want to find the bottom 3 or 5 numbers and see them. Then you would copy paste the numbers or remember it. Then again you would have to resort to the original way the data was sorted. Lot of things to do? Simply select all your numbers (without the header of the column, if any) and go to the Home tab on the Ribbon. 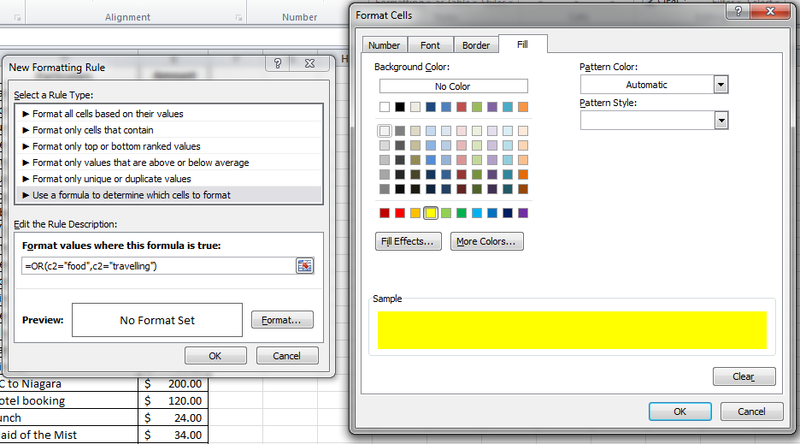 From there, Click on Conditional Formatting which is under the Styles section. Then click on Top/Bottom Rules, and select Top 10 items (for Top values selection) or Bottom 10 items (for Bottom values selection). Don’t worry, the 10 is not fixed, you can make it whatever you want. 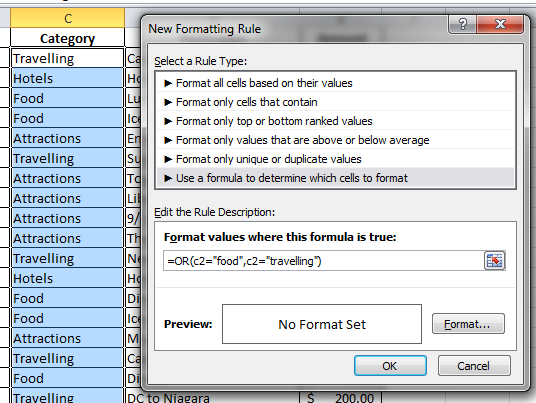 Select the kind of formatting you want, to highlight the cells as per the condition. The best part is that once you set your rules, they are dynamic in nature. 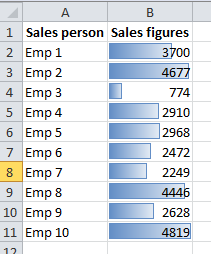 Meaning that suppose based of your values, 3 particular Top value cells were highlighted, but then some numbers change and those 3 are no more the Top values, Excel automatically changes the highlighting and still shows you the Top 3 values.